At ENAR Ireland, privacy and data protection rights are very important to us. We will not collect any personal information about you on this website without your clear permission. Any personal information which you volunteer to ENAR Ireland, will be treated with the highest standards of security and confidentiality, and strictly in accordance with the Data Protection Acts, 1988 & 2003. Data Protection is the safeguarding of the privacy rights of individuals in relation to the processing of personal data, in both paper and electronic form. The Data Protection Acts 1988 and 2003 (the “Data Protection Acts”) lay down strict rules about the way in which personal data and sensitive personal data are collected, accessed, used and disclosed. The Data Protection Acts also permit individuals to access their personal data on request, and confer on individuals the right to have their personal data amended if found to be incorrect. This document outlines ENAR Ireland’s policy to help ensure that we comply with the Data Protection Acts. We collect and use information to provide anonymised human rights report updates to the general public, the media, legislators, the Irish Government and other agents of the state, to local organisations, to Irish and international NGOs, and to bodies like the European Union and the United Nations. 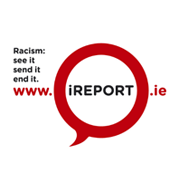 The reports are to provide these bodies with up to date information on the experiences that people have of racism in Ireland. Their purpose is to provide evidence to support our case for better laws, policies and practices for combating racism. All of the reports will have any personal information removed before being compiled. Overall responsibility for ensuring compliance with Data Protection Acts rests with ENAR Ireland. All employees and contractors of ENAR Ireland who separately collect, control or process the content and use of personal data are individually responsible for compliance with the Data Protection Acts. ENAR Ireland’s Data Protection Officer co-ordinates the provision of support, assistance, advice, and training within ENAR Ireland to ensure that the company is in a position to comply with the legislation. ENAR Ireland is firmly committed to ensuring personal privacy and compliance with the Data Protection Acts, including the provision of best practice guidelines and procedures in relation to all aspects of Data Protection.